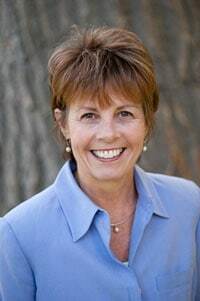 West Wind Consulting » Paula J. Peter, President, The Solstice Group, Inc.
Paula Peter founded The Solstice Group, Inc. in 2002 to utilize decades of experience with a wide range of not-for-profit organizations. Paula has particular strengths in board development, campaign feasibility, planning and management, major gift fund-raising and training. She has lectured and presented workshops on board development, campaign planning, starting major gift programs, and how to be a good board member for many groups including Leadership Tompkins (Ithaca, NY) and Duke University’s continuing education program (Durham, NC). Paula is a lifelong learner, having completed: Napier and Associates' Group Leadership Intensive, a facilitation internship program; The Temagami Experience, a program on developing community and leadership skills conducted on a remote island in Northern Ontario, the Hoffman Institute Quadrinity Process, an internationally known program for personal growth; an adult leadership course with Outward Bound in Baja, Mexico; and, most recently, a course on Leading Nonprofit Organizations conducted by the Gestalt International Study Center in South Wellfleet, MA. Paula is a co-founder of the Ithaca Institute, an organization dedicated to the professional and personal development of advancement officers and not-for-profit leaders, offering a leadership development intensive for chief advancement officers, as well as courses such as, the Art and Discipline of Major Gifts and Preparing for a Campaign. Paula currently serves on the Board of Trustees for the Hangar Theatre (Ithaca, NY), and is a former board member of the Light on the Hill Retreat Center (Van Etten, NY) and the Community Dispute Resolution Center (Ithaca, NY). She resides in Ithaca, NY with her partner, Michael Ward, and has two children, Aubryn and Connor.